For genuine Hyundai parts and accessories that you can trust, drop by Surgenor Hyundai today. Browse through our extensive collection of genuine Hyundai parts and accessories that have been designed for your Hyundai today. Our team of dedicated advisors are ready to work with you to meet all your needs and personalize your Hyundai to your liking. With our stockroom full of genuine Hyundai parts and accessories, from batteries to parts for do-it-yourself repairs, we've got what you need at Surgenor Hyundai. We've got wheels to bike racks, and trailer hitches to rear-seat DVD systems. If we don’t have a particular part in stock, you can be sure we'll order it for you as quickly as possible. We're ready to answer your questions regarding genuine Hyundai parts or accessories, and we can install everything on-site so you can leave the dealership satisfied. 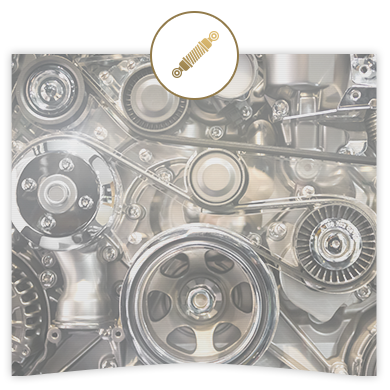 Visit our parts and accessories department at Surgenor Hyundai to find out how we can help.